This month we celebrate women. What better way to celebrate women, than to honour five influential women in education. Santie Botha kicked off her career in 1987 as a marketing graduate and worked for Unilever in a variety of marketing and sales roles both in South Africa and abroad. After navigating her way up the corporate ladder, Santie became the Commercial Sales Director of van den Berg Food service, in the UK, before returning to South Africa in 1996. On her return, she joined the Absa Group as Marketing Director and was later appointed Group Executive Director in 1998. Santie was also a member of the executive committee of the Absa Group, a board member of Absa Bank and a member of the MasterCard AMEA Board (Africa, Middle East, Asia). In 2003 the mobile industry benefited from Santie’s service when she joined the MTN group as Executive Director: Marketing. In addition she became a member of the MTN Group Executive Committee as well as onboard director of MTN South Africa, MTN Cameroon & MTN Yemen. 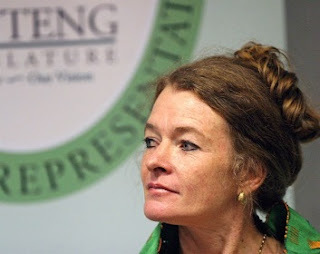 Santie is now known as the youngest chancellor at any South African university – she joined the Nelson Mandela Metropolitan University in 2010. MalalaYousafzai made international news after she was shot in the head by the Taliban for campaigning for girls' education. A 16 year-old student from Swat, Pakistan, Malala is studying in 8th class. In 2009, Malala wrote a diary for BBC under the pseudonym, "GulMakai".In her diary, she wrote about the critical situation in Swat at that time. A little later, she became well-known for everything she has done for children rights in Swat, Pakistan. Nominated for a children’s award by an international organization in 2011, Malala became known as a brave girl and has the ability to speak out the truth. She fought for children's education in her region when the militants were fighting against the Pakistan Army in Swat, banning girls' from attending school. On 8th October 2012 Malala was attacked in Swat when she was going home from school. She continues to be a voice for the rights to education. 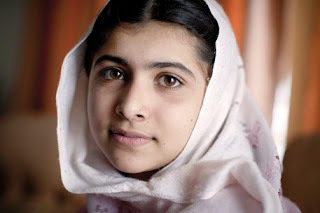 Malala is now living and studying in the United Kingdom, and she has started going to school. Wendy Ngoma is a senior lecturer at the Wits Business School (WBS) and the current Director and Head of School. Before joining the WBS she worked at the Wits Graduate School of Public and Development for more than ten years. Over the years, Wendy taught in various Graduate, Executive and Certificate Programmes and served in various university management portfolios. She is a specialist in the fields of Organisational Behavior, Human Resource Management and Change Management teaching thought leadership and management expertise that is deeply relevant to both Africa and the international world of business. “At WBS, we are doing our bit to create leaders who will take this continent further through innovation, creativity and entrepreneurship. We are set to be the platform to launch South Africa's aspirations for alternative thinking on markets, economies and new enterprises. The global financial markets continually call for new ideas and wisdom that will bring stability and equilibrium.” Wendy Ngoma, Director’s Outlook, 33. Prof Shirley Zinn started her career as a school teacher, teaching English. She then moved to the University of the Western Cape where she lectured in Teacher Education. Zinn holds a doctorate in education from Harvard, as well as degrees and diplomas in education and psychology. She is also an extraordinary professor in HR management at the University of Pretoria. 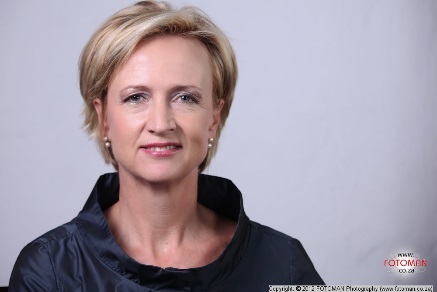 She has received many prestigious awards, including a Topco media award for Top Woman in Business and Government and Top Executive in Corporate South Africa. Prof Mary Metcalfe holds a Master’s degree in Education. 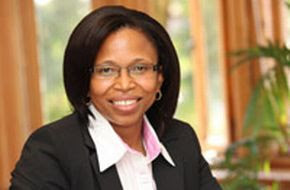 She has served on several government positions between 1994 – 2004 including Provincial MEC of Education in Gauteng, after which she joined the University of the Witwatersrand (Wits) as Head of the School of Education from 2004 to 2009. She joined the Development Bank of Southern Africa in 2011 as lead sector specialist for: Social Infrastructure. She is a visiting fellow on the Soweto campus of the University of Johannesburg, and a visiting adjunct Professor at Wits. “We want to start immediately getting teachers teaching and students learning. We want to see in every area reconstruction and development conferences in education taking place to plan for the immediate rehabilitation of schools and setting up of parent-teacher-student associations. In this way, people will come together.” Mary Metcalfe, Interview, 1994.